Buildings can have a tremendous impact on the environment – and peoples’ lives. They use 68% of the total electricity, 12% of the total water, and 39% of the total energy consumed in America. Buildings also produce 38% of the country’s carbon dioxide emissions. According to the United States Environmental Protection Agency (EPA), a green building, also called a high performance or sustainable building, is a structure created to be environmentally responsible and use resources efficiently. Incorporating green building principles as early as possible into design and construction processes can produce strong benefits for the environment (1), such as conservation of natural resources, better water and air quality, heightened protection of ecosystems, improved biodiversity, and decreased waste streams. The EPA also states that, “Perhaps surprisingly, good green buildings often cost only a few percentage points or no more to build than conventional designs. Integrated design processes that identify the most efficient, holistic approaches to building green can reduce these initial costs. There are also many green products and materials that cost the same or even less than conventional ones.” Funding and tax incentives may also be available for green building projects. Help protect the environment and employee health. 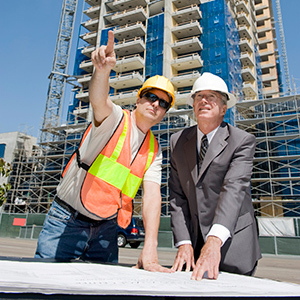 Consider using green building techniques and design, where possible, and provide green construction workers with appropriate personal protective equipment (PPE), including fall protection, eye protection, and work gloves.